"When It Comes To Cabinetry, We Wear The Crown"
Since 1982, Palmer Cabinet Shop has been creating quality custom cabinets and shelving. We serve Crossville, Tennessee and the greater Cumberland County and surrounding areas. Call us at 931.484.6494! The Palmer Family believes that quality directly correlated with pride and skilled craftsmanship. Those core values are still beating at the heart of Palmer Cabinet Shop today, the Upper Cumberland’s leader in all areas of custom cabinetry. 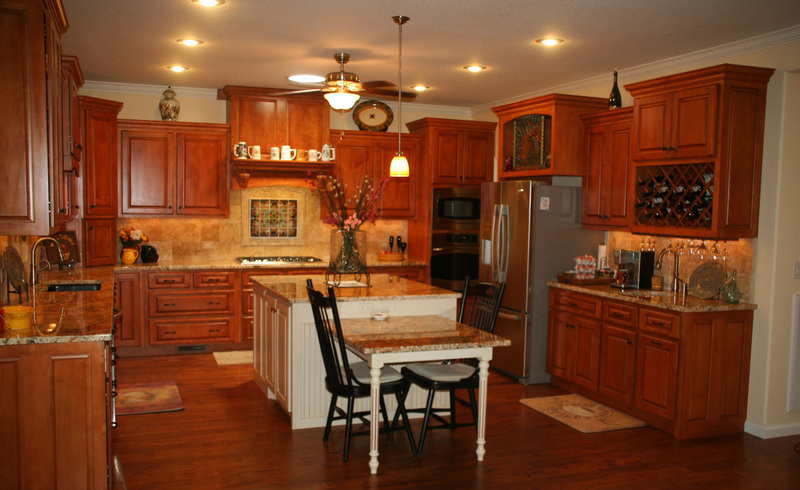 Palmer Cabinet Shop is a multi-generational; family owned and operated local business. They live here. They work here. They love it here, and they are ready to serve you, here. With an array of talents and trades, the men at Palmer Cabinet Shop specialize in custom cabinetry, the installation of Formica counter tops, matching your new cabinets with a wide variety of name brand hardware and preferential upgrades for newly constructed and remodeled homes. Located conveniently in the center of Crossville, TN, Palmer Cabinet Shop is unique in every way. From the drawing board to installation, every piece of your dream kitchen is hand crafted with the utmost care and consideration. Working with both builders and home owners, the option is yours; do you want the same factory kitchen or a crown jewel? Call to schedule your free estimation today!